Let's face it, while I love coleus, I've always treated them as an impulse purchase. I don't know if I've ever actually gone shopping for these lovely, leafy plants: I walk into a nursery or greenhouse and—well—coleus just happens. So, when I was given a copy of the Ray Rogers Coleus: Rainbow Foliage for Containers and Gardens, I hurried home expecting to spend a happy half hour or so looking at pretty pictures. And I did. But it ended up being nearly two hours in which I came to see Solenostemon scutellarioides as a group of highly individual cultivars worthy of respect and a little pre-planning on my part. Believe me, I won't spend two hours slogging through boring text. Fortunately, Rogers writing is as bright as the electric-leaved photos it accompanies. 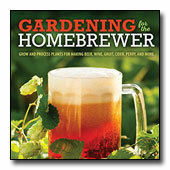 In addition to the expected cultural tips, the book discusses propagation, pinching, topiaries, and the differences between seed-grown and vegetatively propagated coleus. But the most useful information is a rundown of the characteristics of each variety: the trailers, the early bloomers (in coleus, a bad thing), the giants, and the slow growers. Rogers's "Encyclopedia of Cultivars" is a mind-boggling compendium of colors, textures, shapes, and markings, each with inside info on its strengths and weaknesses. Oh, my. 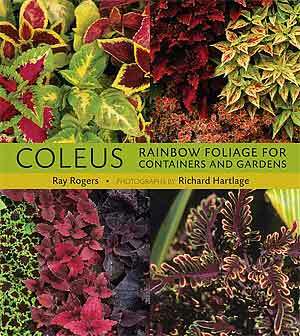 Now I can't wait to revisit the nurseries in search of a few last coleus to beef up my summer pots. This time I'm going with a list in my hand.